Our sixth, seventh, and eighth graders meet at Christ Church to be in community with each other. Students are engaged in living a personal faith with Jesus in both large and small group gatherings Sunday mornings and Wednesday nights. In past years at Camp COW, we've had a lot of cash lost around camp, and have had a hard time returning it to it's rightful owner. This year, we will not accept cash at the snack shop at all. Instead, parents will have the opportunity to purchase snack shop cards in $10 increments for their camper. These cards will have the students name on them, making it easier to return it to it's owner if misplaced! 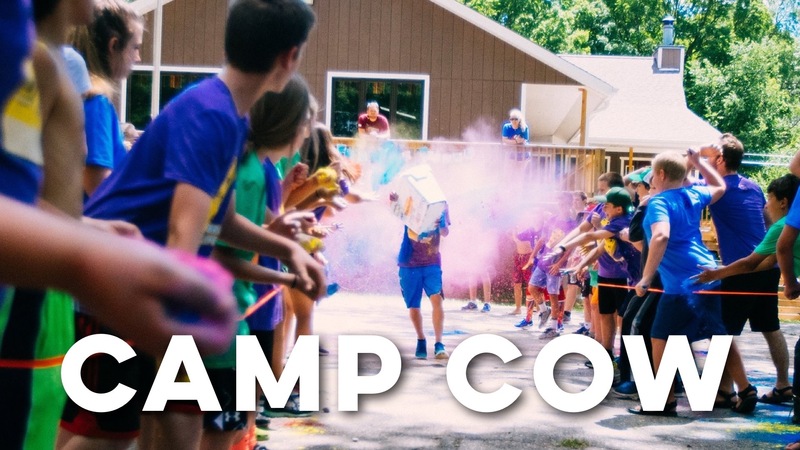 Cards may be purchased at Camp COW check-in, or online before camp. *Cards must have a students name on them to have value. ** Left over funds after camp will be transferred to next year's Camp COW scholarship fund. No Refunds. Hard to believe that our 8th graders will be moving on from COW soon! It has been an awesome 3 years and we have been so blessed to have their smiling faces in our middle school group! Come join us for a last hurrah as we have a blast at Enchanted Castle and look back over the past 3 years together! Where: Meet at Christ Church Oak Brook before heading to Enchanted Castle. Pick-up: Students will be picked up at 9:30pm from The Erhardt’s house at 704 S Bryan Street in Elmhurst. Cost: $30 will cover all of your costs at enchanted castle and dinner! 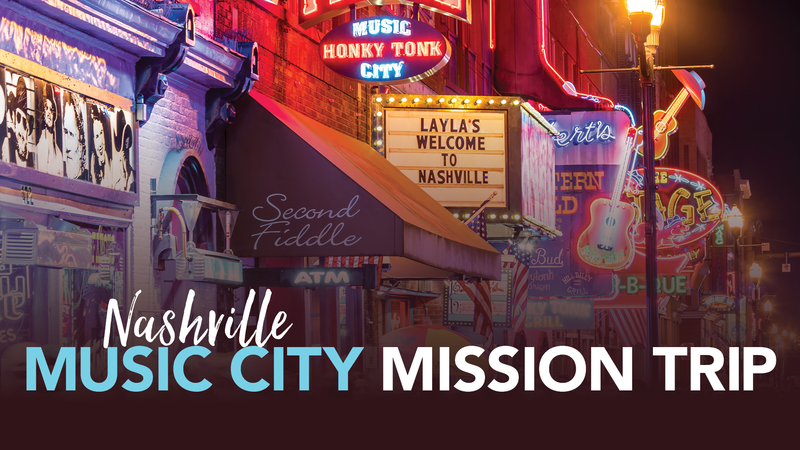 Music City Mission Trip is an urban missions trip, for 7th and 8th grade students, to the city of Nashville, Tennessee. Students will have the opportunity to serve in soup kitchens, youth charities, and other urban outreach ministries unique to the city of Nashville! Registration is nearly full. Sign up soon to avoid a wait list. COW is the heartbeat of our middle school ministry. It is a community of students that get together every Wednesday night in the Oak Brook Student Center for games, challenges, worship, prayer, and small groups. We'd love for you to join our middle school community! Where/ when we'll meet - We will be gathering together with all our overnight gear at the Fullersburg Woods Nature Education Center (3609 Spring Rd, Oak Brook, IL 60523) at 5pm. From there we'll experience what it might be like to have to leave our homes, by walking through Fullersburg woods to Christ Church's Oak Brook Branch. What will we do next?- Once at church students will have a small meal, similar to what a refugee might experience upon arriving in a new home, then we'll together move through different experiences to help us grow in empathy towards the situation of people who are newly arriving in the United States. After our refugee experience, we'll hang out, watch a movie, and play some games together! When does it end? We'll have a meal together just before the 9 o'clock service, then will wrap up our program during that service time and dismiss as the service lets out at 10am. Fundraising - By signing up for this event you are committing to spend 2 hours working to fundraise for our friends at Resilient. Resilient is an incredible organization that works with at risk communities right in our backyard. Some of the primary people they work with are young people who's families have recently come to America! Breakfast Club is our Sunday morning small group based Bible study. Come grab a donut, watch a few cartoons and then dive into some great biblical content! COWam is our large Sunday morning gathering. It is a place for students to come, play a few games, and then dig into God’s word in a way that relates to their lives. COWam is a great way to continue to invest in your Herd community over the weekend! COWam meets weekly through the school year at both our Oak Brook and Downers Grove branches. Email or call Steve Noble at 630-321-3939 with any questions. During the summer we have a unique opportunity to meet in homes throughout our community. Our students break off into five different house groups to engage in fellowship, fun, snacks, and an awesome video series where we'll explore the stories of some of our incredible volunteer leaders. Students can sign up for house groups based on where they live or where their friends will be attending. It's your call! Follow COW on Social Media! One great way to stay up to date with what's going on at COW is to follow our social media presence. Click the links below to find our Instagram & Facebook pages.